There have been cooler temps here. We are wearing jeans and enjoying the new colors on the trees. I love fall. It is my favorite season of all. Fall always makes me break out my felt crafts. Ever since I was pregnant with Reagan and started making her hair bows, I have loved playing with felt. I have started creating a little decor for my first SpoonfulLab, and felt flowers are one thing that I have been creating. 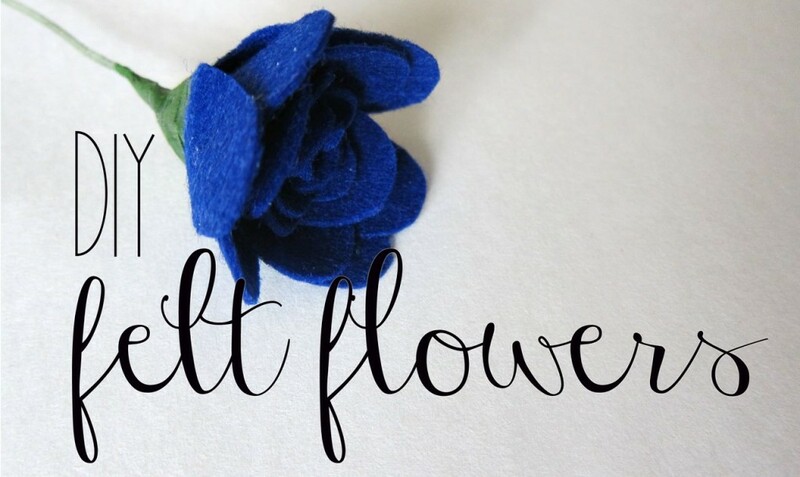 If you love felt and would like to make some bouquets that wont ever die, follow along with this post to learn how to make one beautiful felt flower. 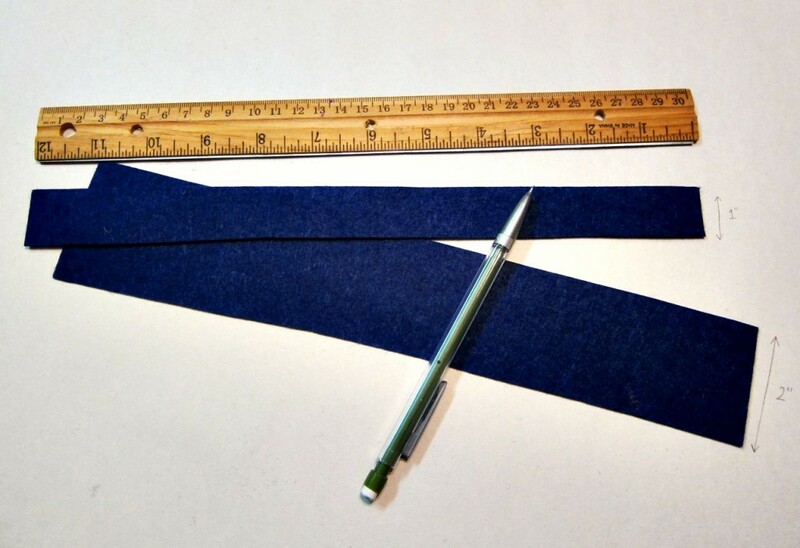 In order to make this flower, I cut two different strips of felt to begin. One strip was about 1″ tall and the other was about 2″ tall (the width was the length of the 12″ felt square that I bought). 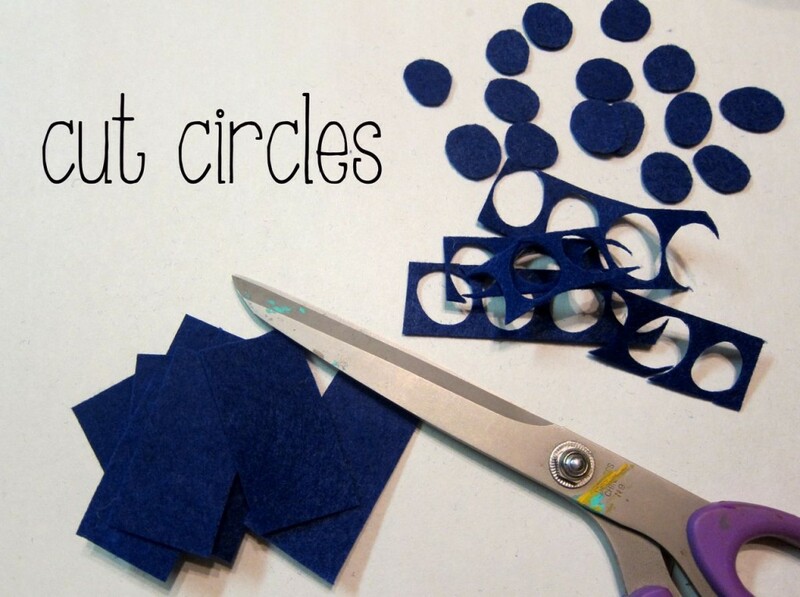 Then I just started cutting circles/ovals out of both strips of felt. I just eye balled them. They are all different and not perfect, but since they are all cut from the same strip they were pretty close in size. The exact number of circles used per flower is up to you, for how big you want your flower. 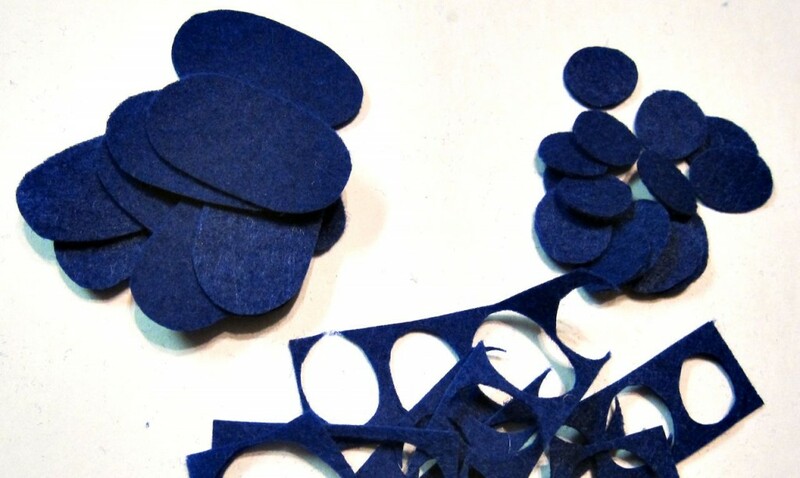 From my piles, I had enough circles/petals to create several flowers. The flower I’m going to show you, uses 6 small ovals and 9 large ovals. 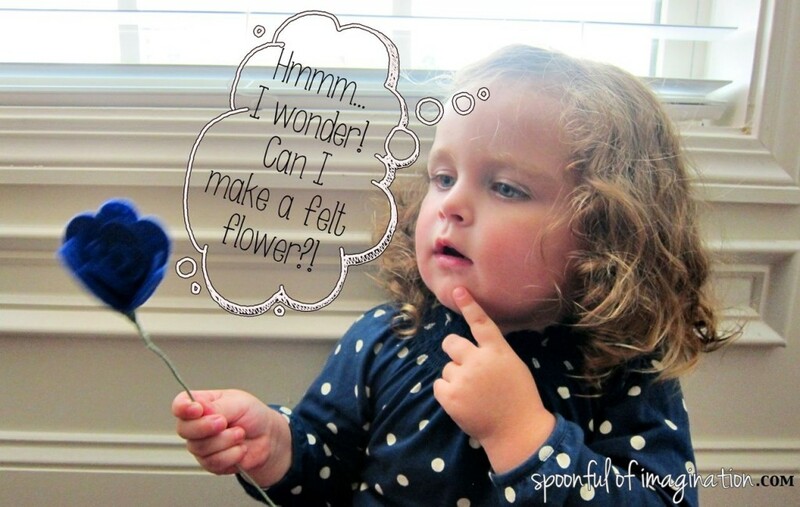 To start the flower, pick one small petal and hot glue it around your flower stem. 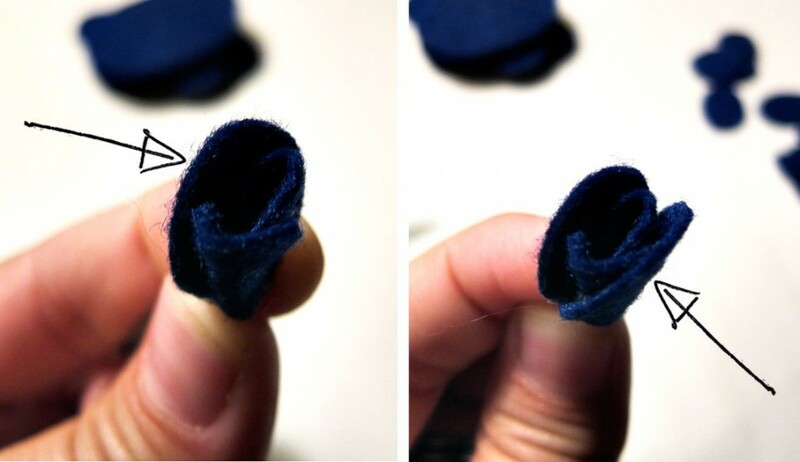 Once it is glued fold it like a taco around the stem, and then glue another one across from it. This creates the center of your flower. Be sure to not have the flower stem glued all the way to the top of the petal, as it would then stick out of the flower. You then simply start gluing petals on the seems from the previous layer of petals, as shown below. 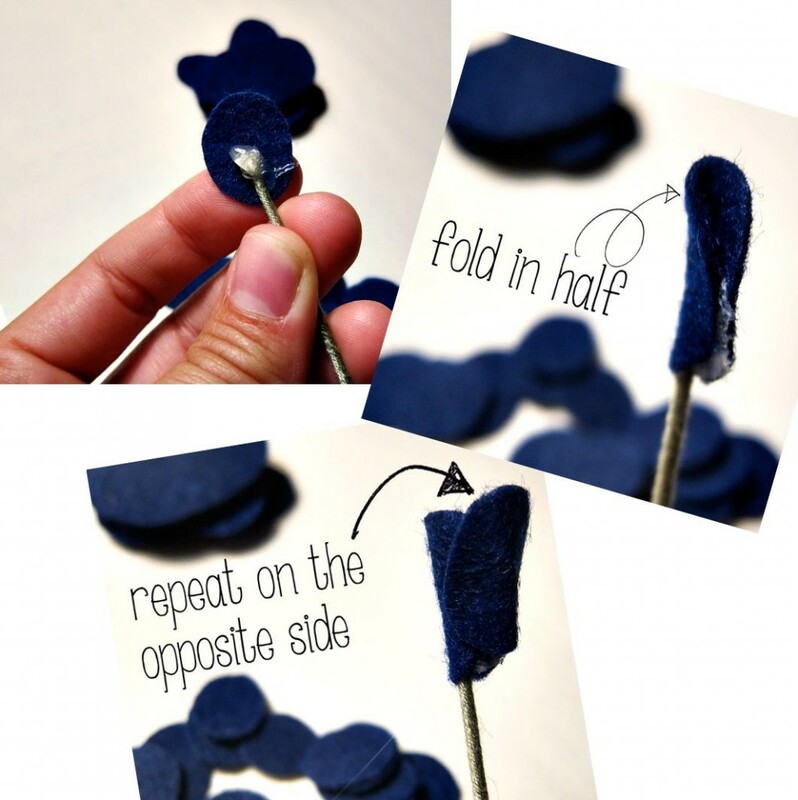 No need to fold these petals, just apply them as ovals with a little glue and a pinch at the base of the petal. Keep building with the same small size petal until you have a size that is pretty uniform in shape that you like. Once the middle is complete, continue this same process with the larger size oval petals. This will create a bigger flower faster. You can add as many flower petals as you like. For my flower, I have about three layers of small petals and two layers of larger size petals. Depending on how you may use this flower, the size can range greatly. Once you have the flower the size you like, you are ready to finish off the stem. Simply add a little glue at the base of your flower and stick the floral tape onto it. 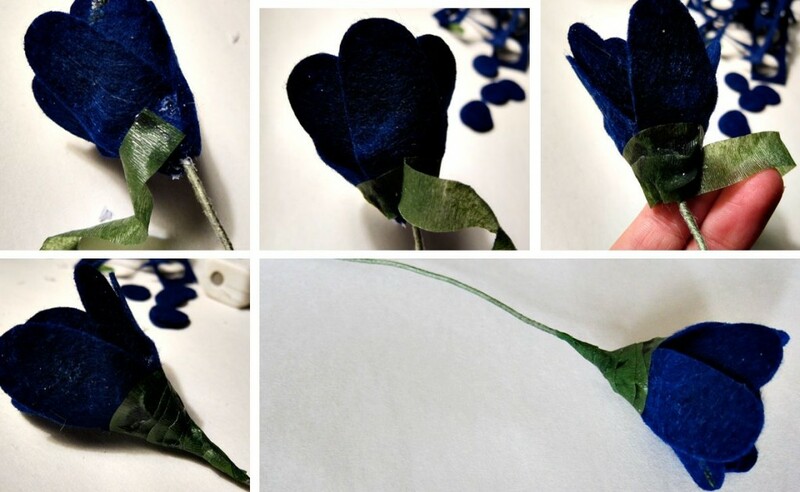 Wrap the tape around the flower, adding glue where you need to in order to prevent the tape from slipping down. 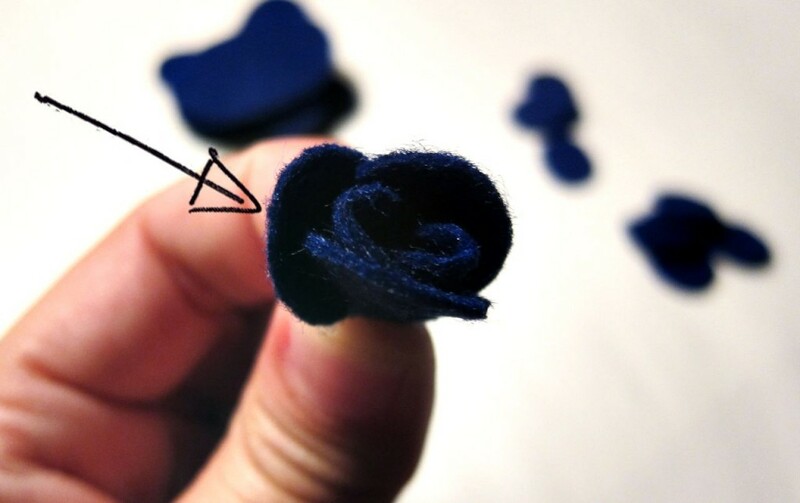 Continue around the flower’s stem until you are off the felt flower and a little ways down the stem to blend it smoothly. 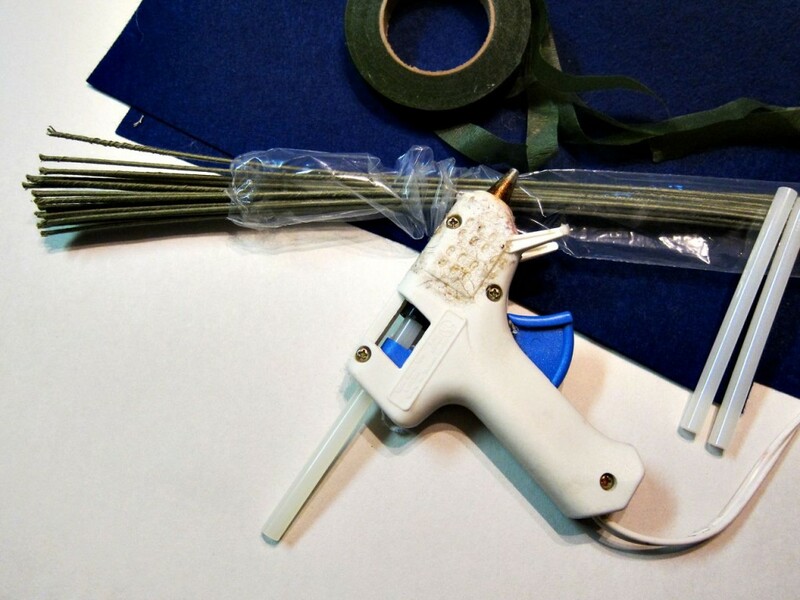 Add a little more glue on the wire and rip the flower tape off and press it into that glue. As always, be careful with your fingers and that hot glue! If you are new to hot glue, you may want to consider wearing work gloves. Your flower is then complete! I am enjoying making these while watching all my favorite shows. I love that fall also brings back the my favorite TV shows! These little flowers look great by themselves, or in a jar with a whole bunch of them! you can also alter this idea and put the flowers on wreaths or little hair bows. Do you love felt too? It is such a cheap supply to have on hand and an easy way to add color to craft. I hope you are having a great weekend! Before your week gets busy and gets away from you, registration is open for a SpoonfulLab in Roswell, GA for October 26. 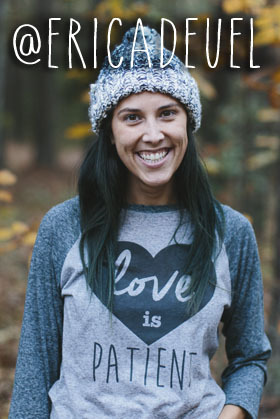 We already have a great group of ladies signed up, if you’d like to join us, click on over to my post to get more details and register! Love! 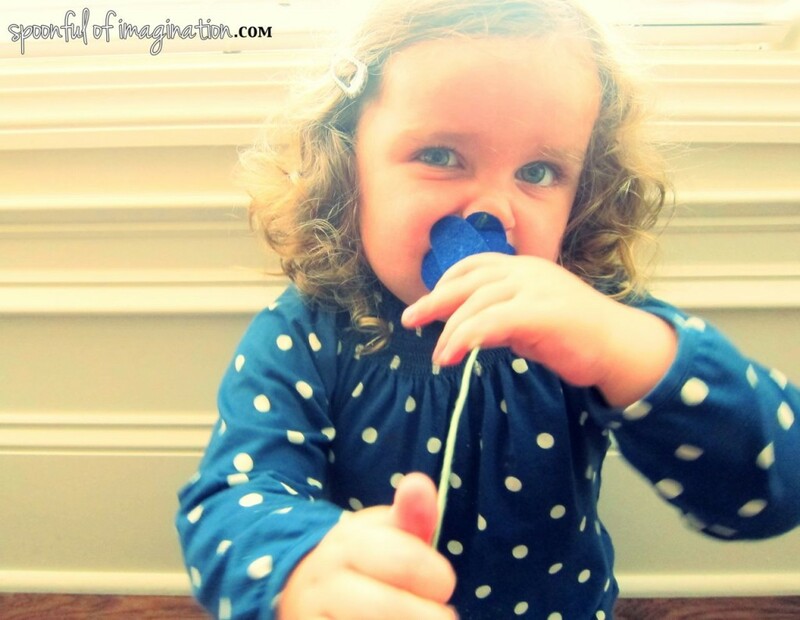 And I love Reagan’s facial expression! Priceless.